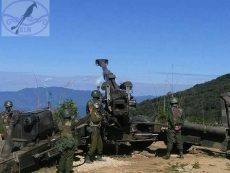 After a decade or so, the light of peace, shimmered first initiated again in 1963, then in 1972 and again in 1980 respectively, was enlightened again in October 18, 1990 at Pangsai, a sleepy border town of Sino – Myanmar, Northern Shan state. The peace – talk between KIO and NWT was able to be initiated on the peace – bridge being connected by peace mediators: former Israel Ambassador Duwa Hpauyam La Wawm, Rev. Lahtaw Saboi Jum and Mr. Lahtaw Hkun Myat. The KIO team members were Lt. Col Banma Zau Hpang, Mr. Lama Gumhpan, Maj. Manam Tu Ja and Lt. Hpunggan Hkun Nawng. In the NWT team, lead by Col. Tin Win, were Lt. Col. Kyaw thein, Maj. Than Aye and Capt. Myint Swe. In order to materialize the peace process again, the Kachin peace mediators first tried to consult KIO chairman Mr. Maran Brang Seng. Maj. Tin Maung Win (No. 9 Int. Unit Commander). 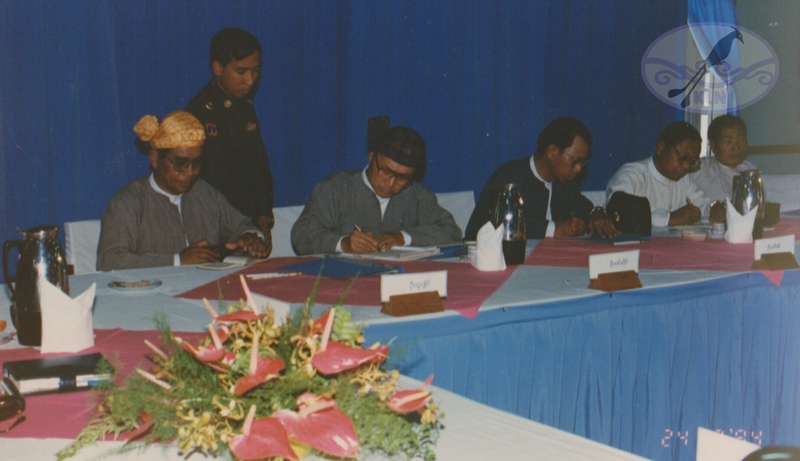 The meetings were held on 6th March, and then continuously 18th – 23rd of March, 1993 in Myitkyina for further more negotiations with SLORC. The KIO had a number of urgent issues needed to be discussed and to be decided upon among themselves. Before going further from their present position, KIO Vice – Chairman Malizup Zau Mai called for an emergency meeting of KIO Central Committee at his residential office on 31st March 1993. 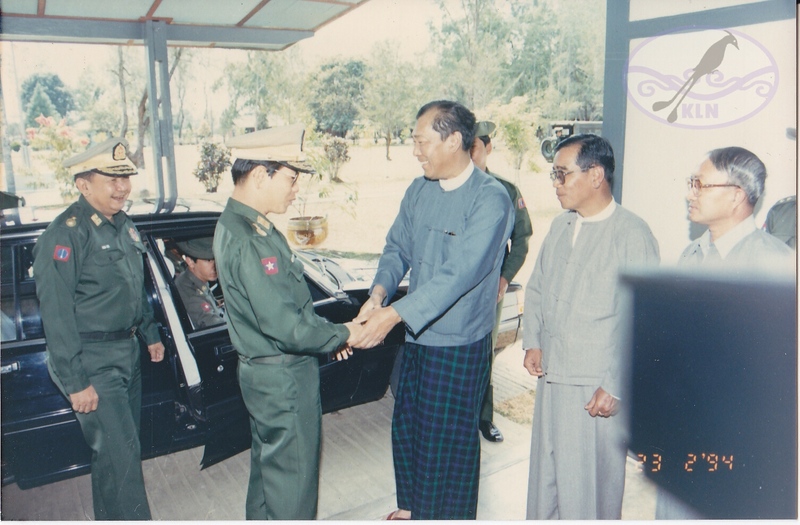 On 6th – 7th of April, 1993 the meetings were held by both delegates at Malihka Yiktha in which Maj. Gen. Aye Kyaw gave a short opening speech and then, Brig. Lamung Tu jai and Mr. Lanyaw Zawng Hra both from KIO, gave speeches respectively. Then, both sides mainly discussed about the relocation of armed forces. After that, without consuming much time, the peace talks were again on the table at Malihka Yiktha on 26th – 27th May 1993. 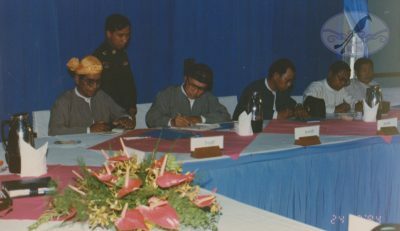 On 1st – 6th of July, 1993 both delegates negotiated to reach an agreement about the ceasefire between KIA and Tatmadaw in the Kachin State and the northern Shan state areas known as Kachin Sub – state in former times. With the intention of making a ceasefire agreement and peace talks, KIO Chairman Mr. Maran Brang Seng and General Secretary Mr. Lanyaw Zawng Hra, both prepared to come down to Myitkyina. Meanwhile, they dispatched a delegation led by Brig. Lamung Tu Jai to Myikyina as a point – team. In spite of the fact that the due date was October 27th, on which date KIO Chairman and General Secretary would be arriving at Myitkyina, they could not reach there because of the KIO Chairman’s failure health. However, Brig. Lamung Tu Jai who had already arrived at Myitkyina held a meeting with Northern Div. commander Maj. Gen. Saw Lwin on 01st January 1994. During this meeting, Brig. Lamung Tu Jai informed to Maj. Gen. Saw Lwin that although the ceasefire agreement had not yet been signed due to its state of unreadiness the KIO wanted to begin the “Regional Development” in their own areas. Therefore, at 08:00 AM on 12nd January 1994, the Regional Development Programme was discussed in detail at the meeting held at PWT conference room in which KIO, NWT and PWT delegates concerned were attending. There were over 50 participants, including 11 KIO delegates. The meeting held from 18th to 24th of February 1994, were more significant than usual. The SLORC government, however, was perfer to negotiate about the immediate issues such as cessation of hostilities, regional development and some other regulations rather than main political issues that causes the armed conflicts at this moment. Overtly, SLORC leaders expressed that the political issues can be sought and negotiated not with the current military government, but to the next coming civil government. 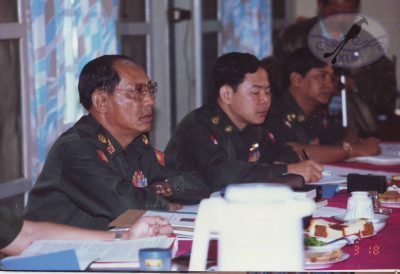 Maj. Gen. Aye Kyaw and Maj. Gen Malizup Zau Mai, both gave speeches at the meetings. After several lengthy negotiations, including about ceasefire, they decided to form a drafting committee for a ceasefire agreement. Finally, they approved the cease fire agreement. On 23rd February 1994 at 15:00 PM, SLORC General Secretary1 Lt. Gen. Khin Nyunt emphatically addressed about the ceasefire agreement between KIO and SLORC in some detail and gave instructions to all in the meeting room of the Northern Division Command. The KIO delegates – head Maj. Gen. Malizup Zau Mai also expressed the necessities to be negotiated and submitted them to the higher authority of SLORC. On the evening of that day, to mark the historic milestone of ceasefire agreement in Kachin history, the traditional “Peace Manau” ceremony was happily celebrated by all the stakeholders such as SLORC delegates, the KIO representative, the Kachin peace mediators and the local elders, scholars and well – wishers of the Kachin State at the ground of MPKh. After dancing the “Peace Manau”, all the persons concerned were offered the Kachin traditional “Magun Shat Lit” of honor and all the participants shared it as the opening mark of momentous chapter of peaceful coexistence. 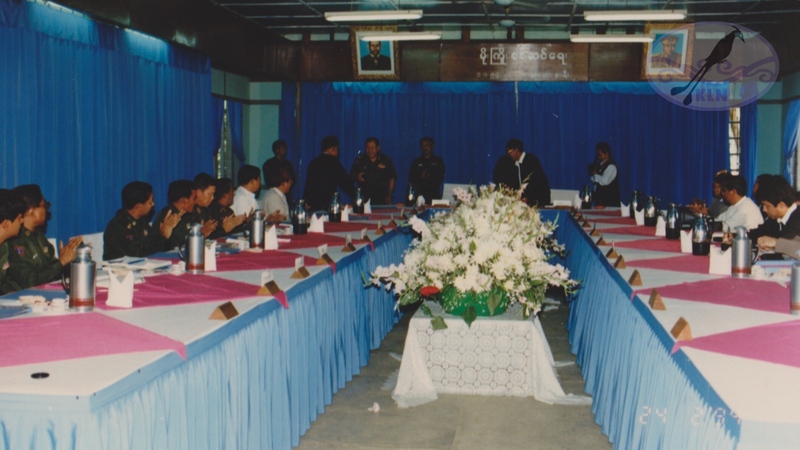 On the next day at 02:10 PM (24th February 1994) for the sake of people’s peace, SLORC and KIO signed the ceasefire agreement officially at the meeting room MPKh (Northern Div. Command). Those who signed were as follows.